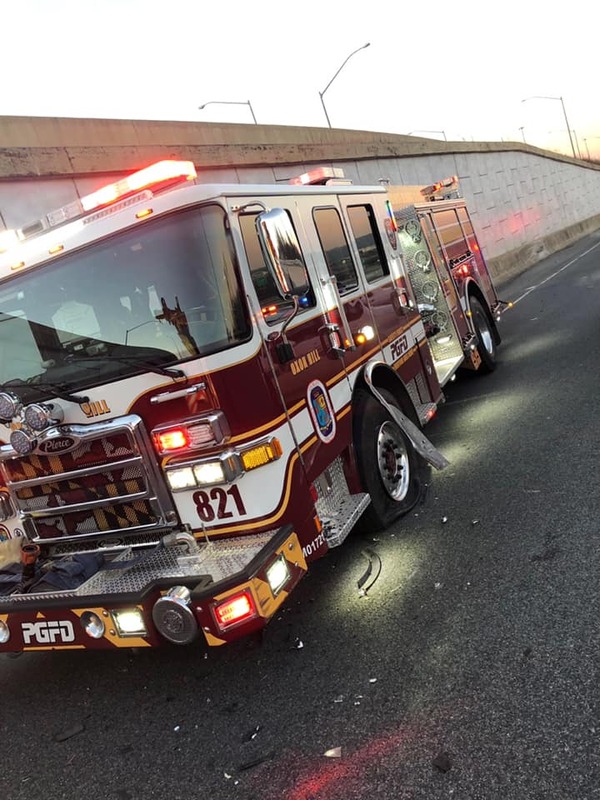 Around 5:20 am Sunday PGFD Engine from Oxon Hill 821 was providing “barrier protection” for accident scene on OL local lane of Beltway prior to RT 210 when a civilian vehicle hit the engine. The 2017 @PierceMfg engine sustained $9k in damage, however, saved crew and civilians on scene-no injuries. The striking vehicle had to swerve to avoid another vehicle driving recklessly on the Beltway.